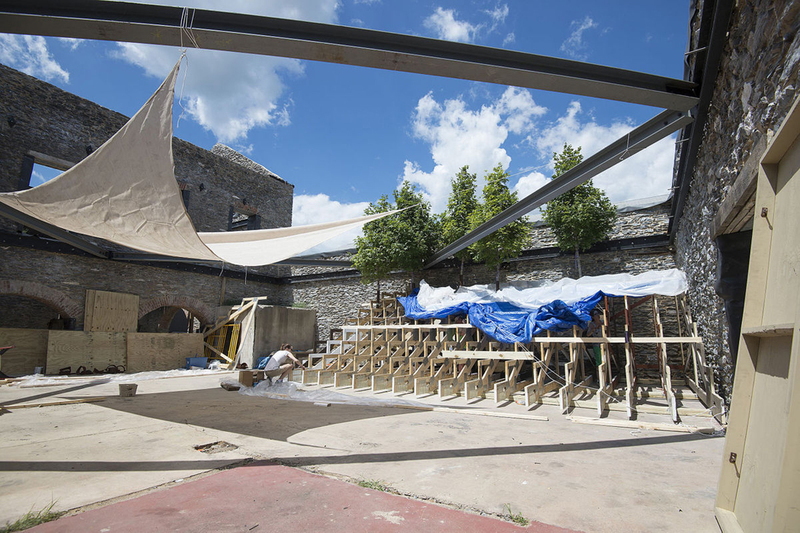 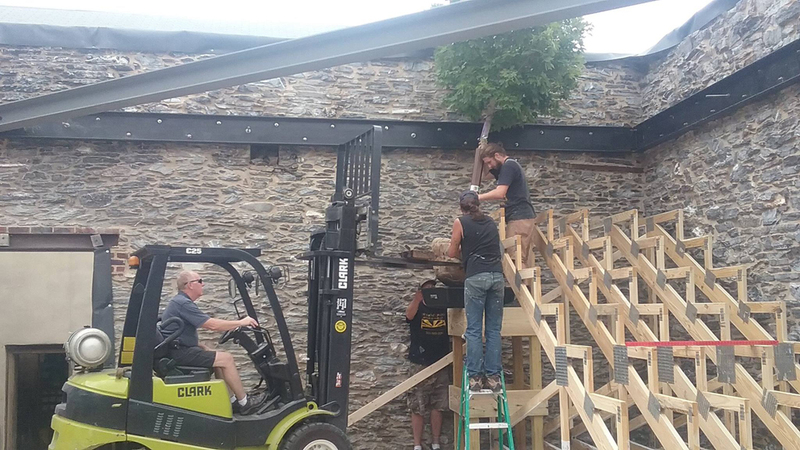 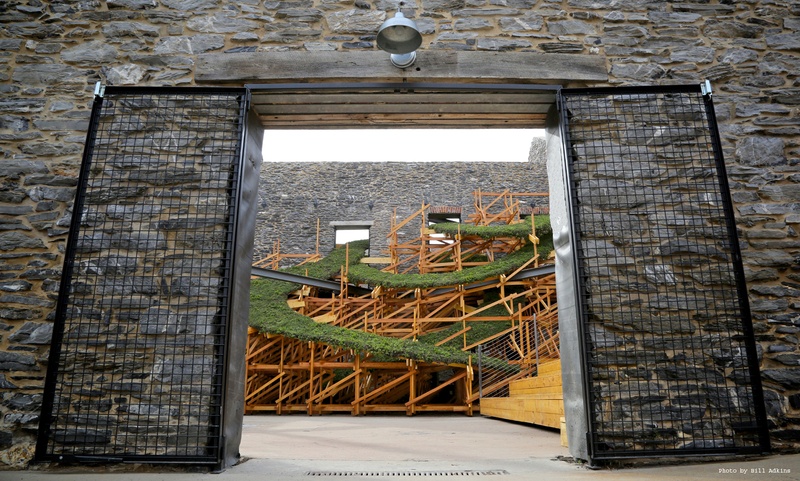 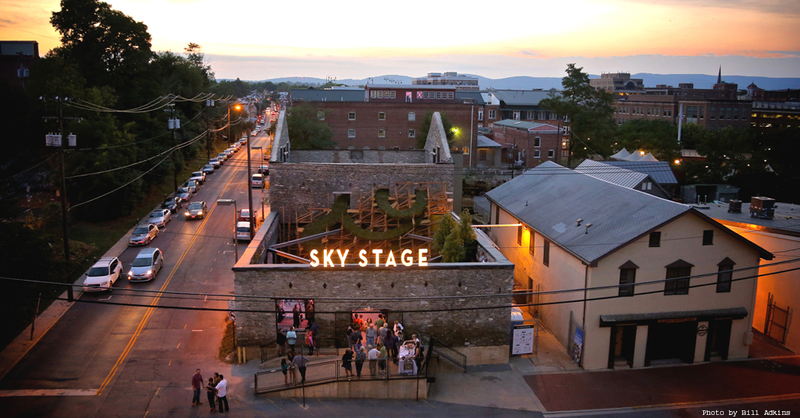 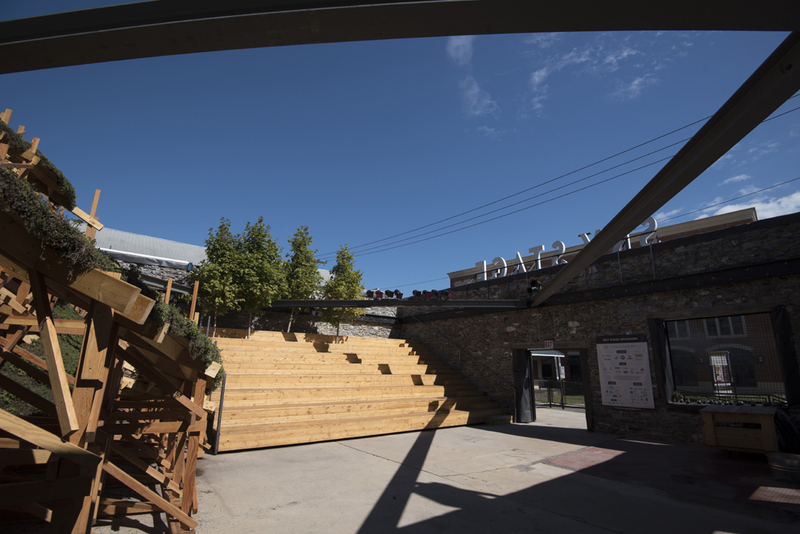 Sky Stage temporarily transforms a boarded property in Frederick, Maryland’s downtown historic district into an interactive building-scale public art work. 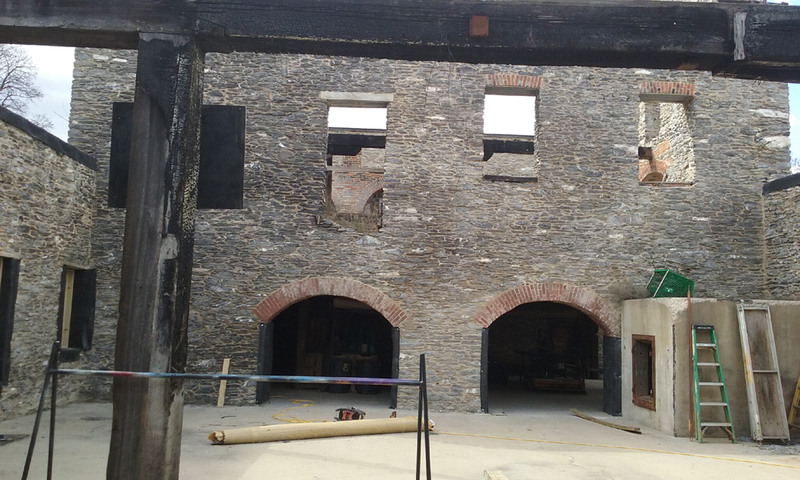 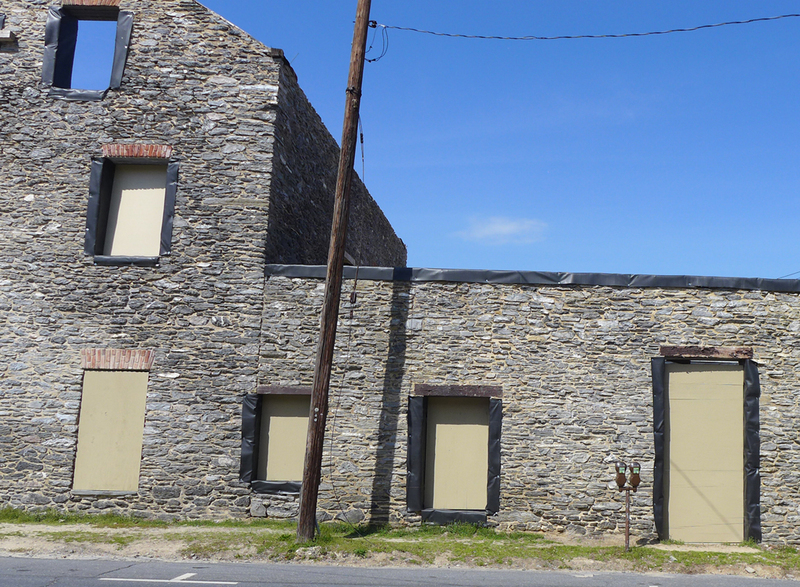 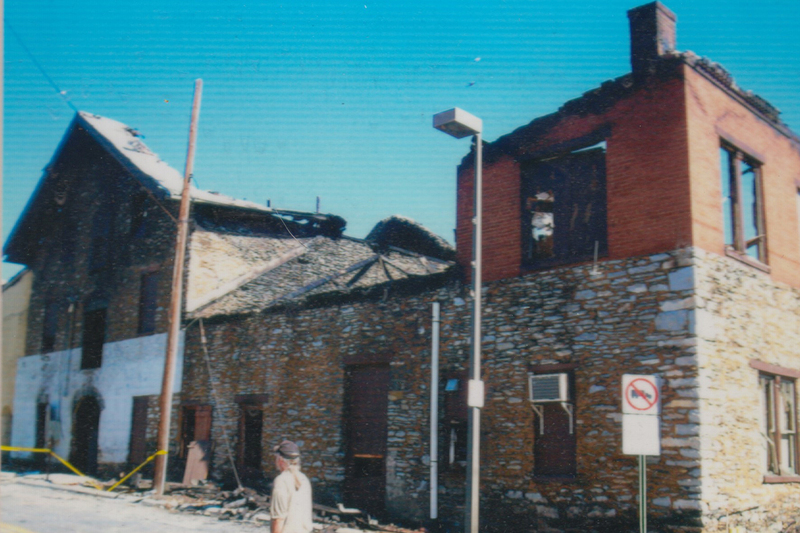 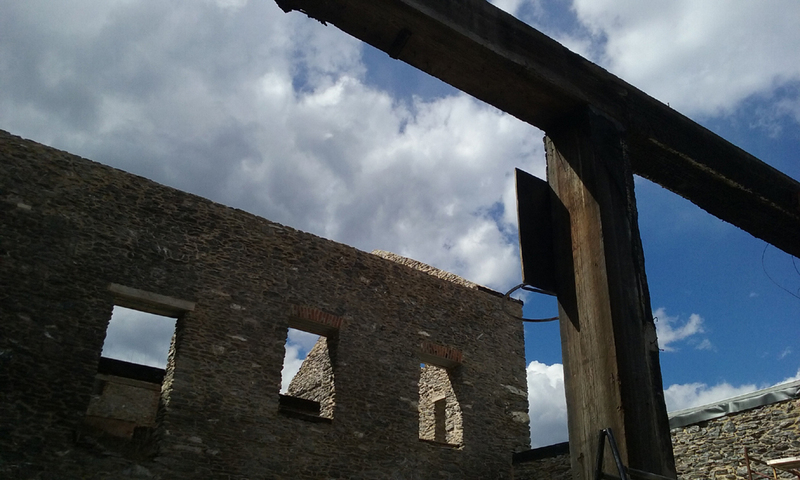 This pre-Revolutionary War building was damaged by a major fire in 2010 and has no roof. 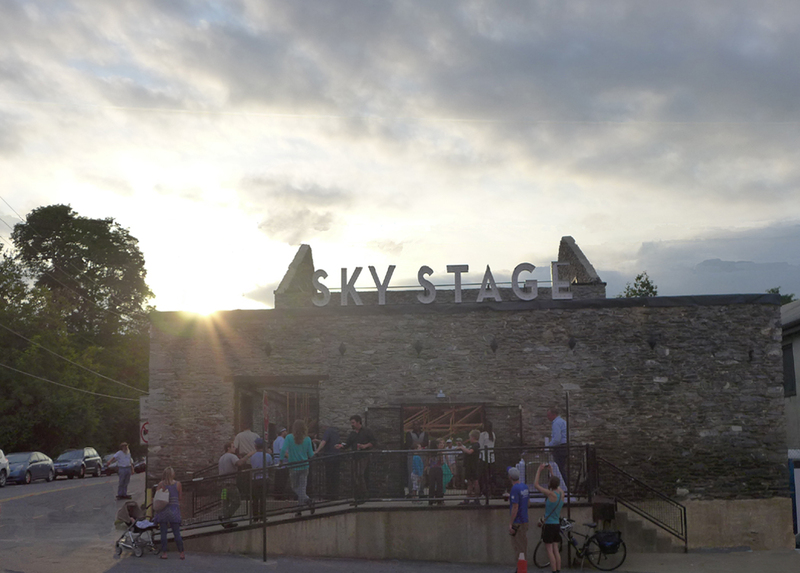 In September 2016, the plywood boards on the doors and windows were removed to reveal Sky Stage. 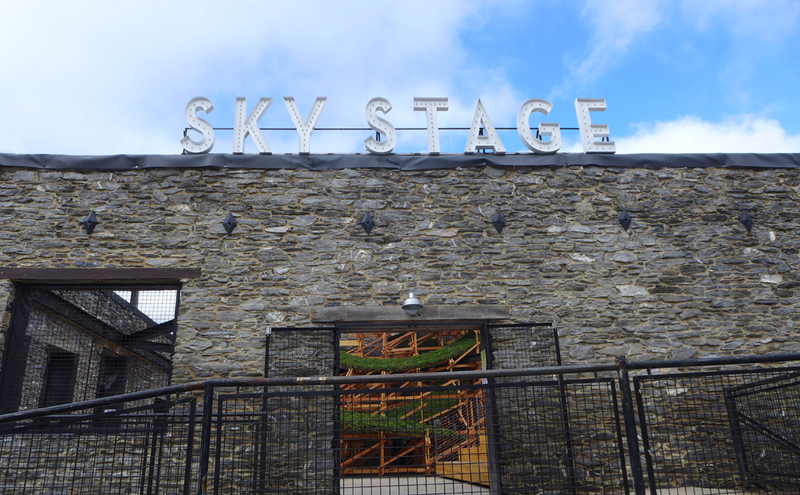 Sky Stage is by Artist Heather Theresa Clark. 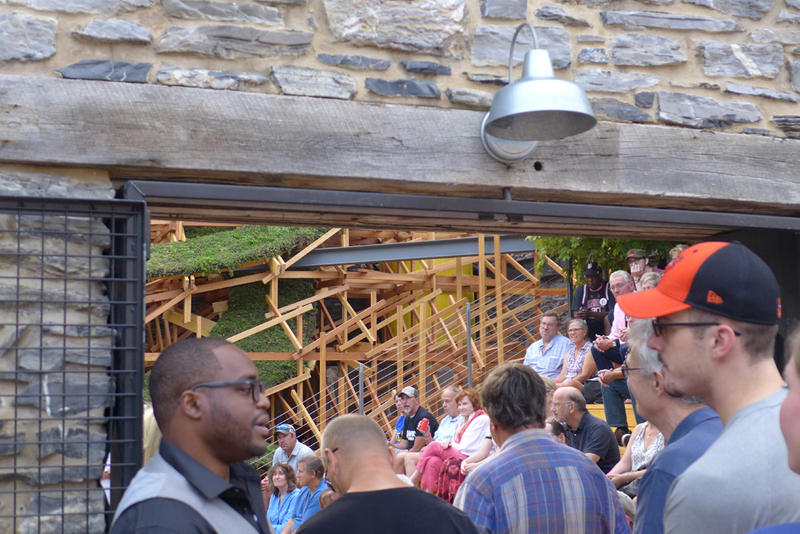 Framed by historic stone walls, Sky Stage’s open-air theater seats an audience of 140 people among trees. 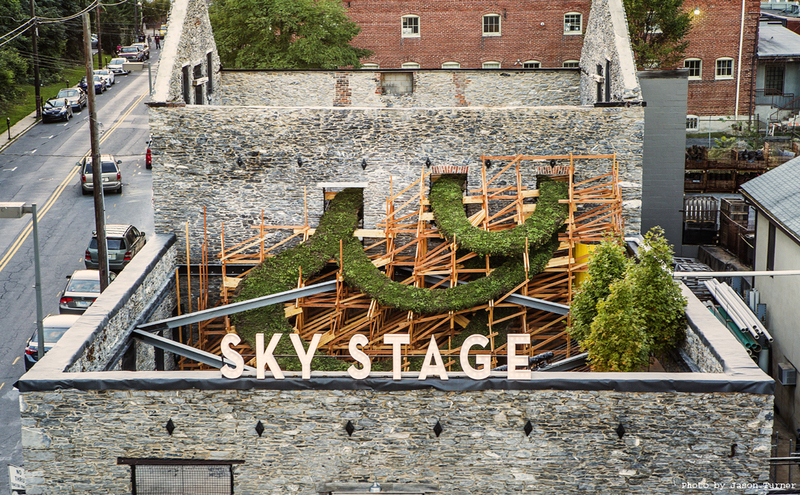 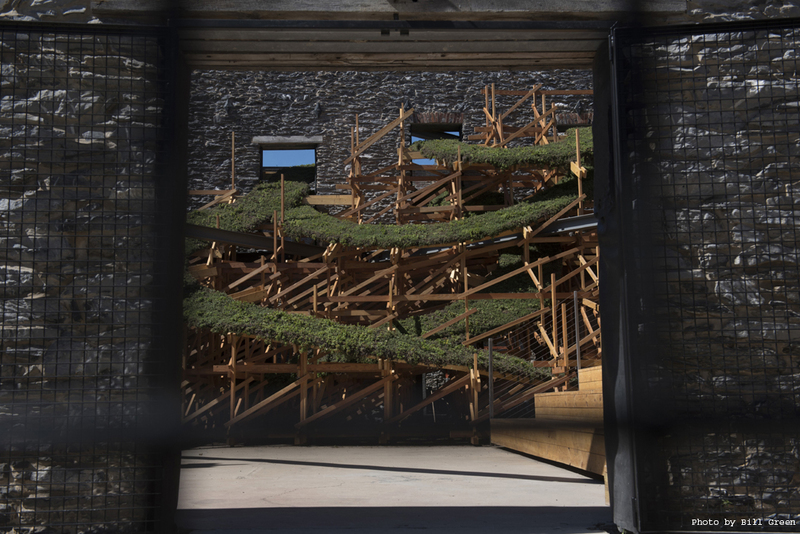 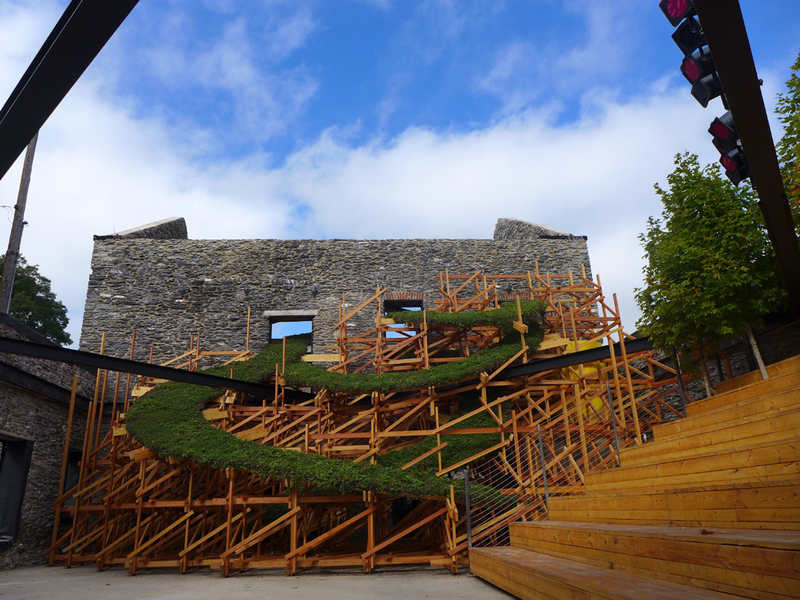 The centerpiece of Sky Stage is a digitally-designed two story sculpture with ribbons of drought-resistant plants that twist and wind through a wooden lattice and the building’s doors and windows. 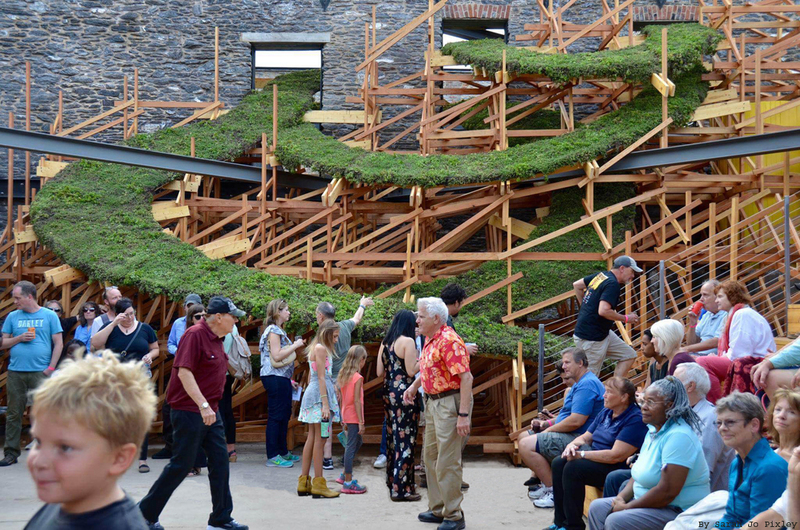 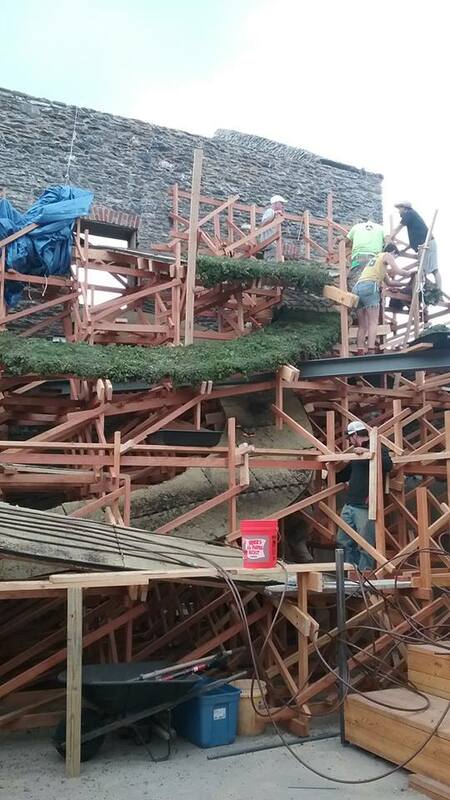 State of the art green roof technology has been modified to support the spiraling plants. 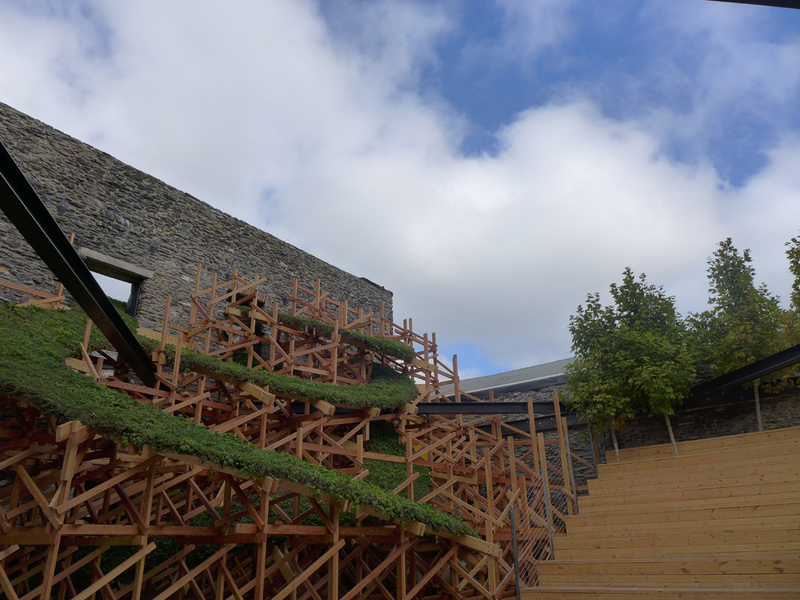 Rainwater is collected from an adjacent roof and stored in a cistern to irrigate the plants and trees. 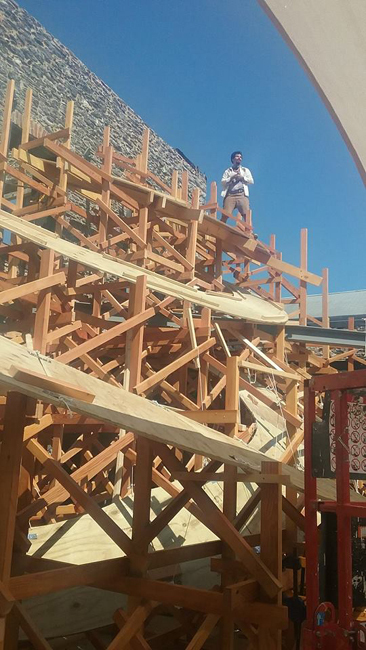 Clark collaborated with the Massachusetts Institute of Technology’s Digital Structures research group who computationally designed and engineered the sculpture’s complex wooden lattice with custom geometry-generating algorithms. 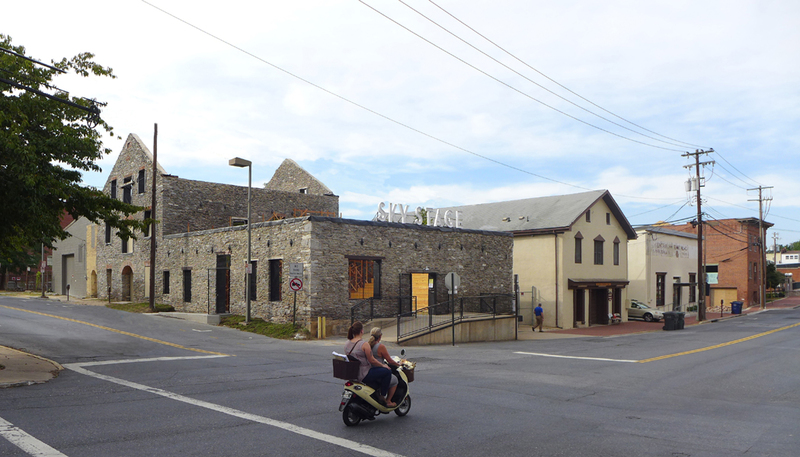 Frederick Arts Council is overseeing the day-to-day operations of the theater. 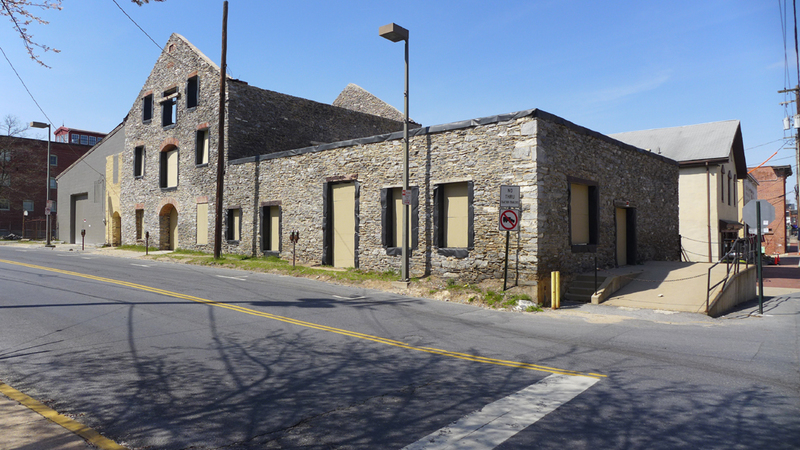 Together, they are facilitating local residents and community groups to run creative endeavors within the historic shell. 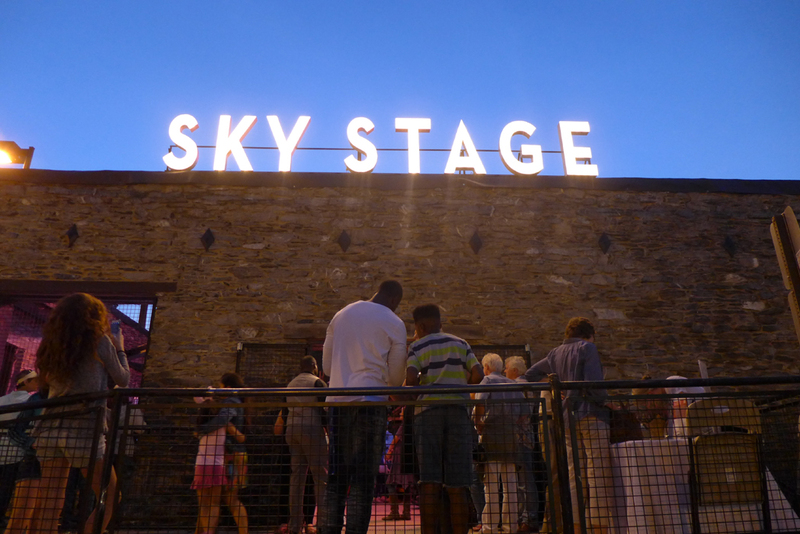 Working with the public, Sky Stage offers drama, music, children’s story time, art classes, dance, history, literature, and film. 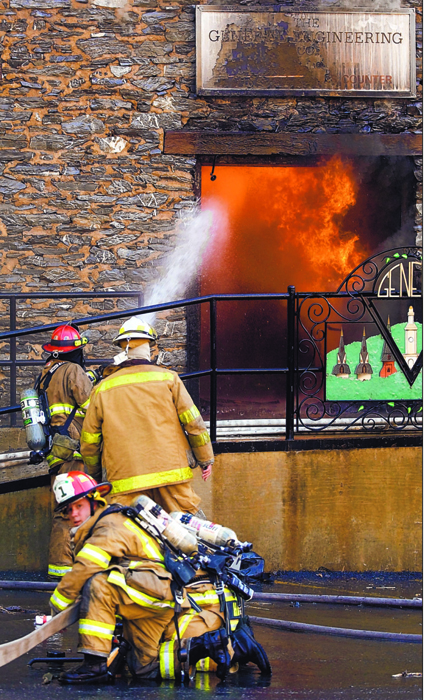 2010 fire Reprinted with permission of The Frederick News-Post and Randall Family, LLC as published on July 1, 2010. 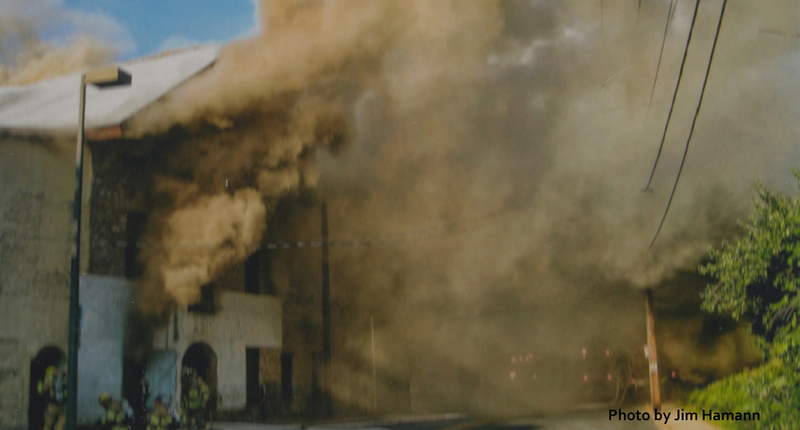 Reprinted with permission of The Frederick News-Post and Randall Family, LLC as published on August 7, 2016.